There are two types of fat deposits in the body. One is visceral fat, or the active fat, and the other one is the fat under your skin, or subcutaneous fat. 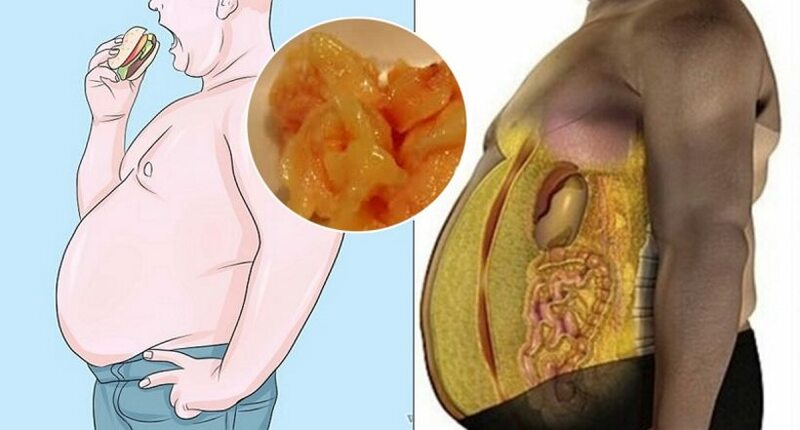 The second type can be seen with a pinch on the arms, stomach, thighs, and the loose and jiggly parts of the body, while the active fat is hard to be noticed for it surrounds the organs in your midsection such as the liver, pancreas, and intestines. This can cause serious interference with the proper liver function and also inhibit hormonal messaging between the vital organs. This may cause insulin resistance, setting the road to develop high blood pressure, diabetes, increase the risk of developing heart disease, and increase cholesterol. Previous post: This is Something You Should Never Do While in the Shower, Because It Causes Terrible Consequences!